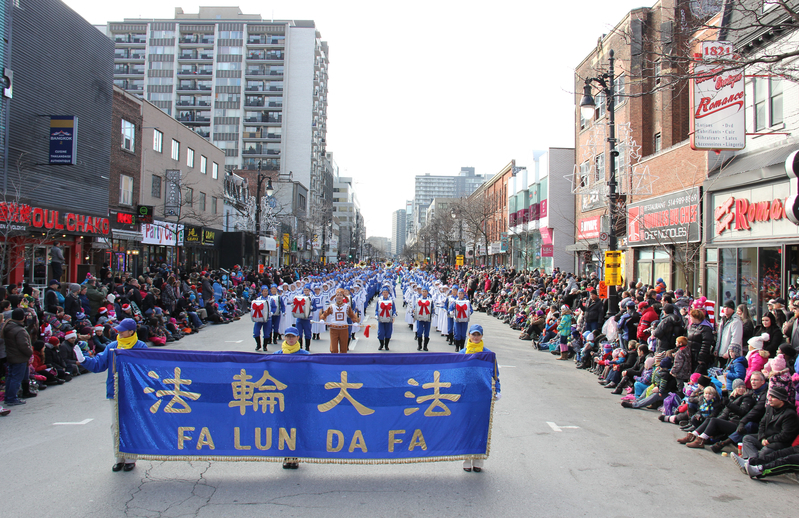 (Minghui.org) Falun Gong practitioners took part in the 65th annual Montreal Santa Claus Parade on November 21, fielding the magnificent Divine Land Marching Band. Chosen as the leading group of the event, this 160-member band drew broad attention and rounds of applause. It was a nice day. Although the parade was scheduled to start at 11 a.m., large crowds already showed up at 10 a.m., lining both sides of Saint Catherine Street, the main parade route through Montreal’s central business district. Dressed in traditional Chinese costumes in blue and white, the Divine Land Marching Band was placed as the first group of the event. Ms. Liu from China saw the parade for the first time and became very excited. “Vow, that is so good, so magnificent!” She said as she was chatting with her grandfather. Ms. Zhou, the band’s conductor, said that group members came from New York, Montreal, and Ottawa, “That is why we have about 160 members today—much more than usual.” Following the parade in Montreal, the New York Divine Marching Band was to travel more than 200 kilometers to take part in another parade in Kingston, Ontario. 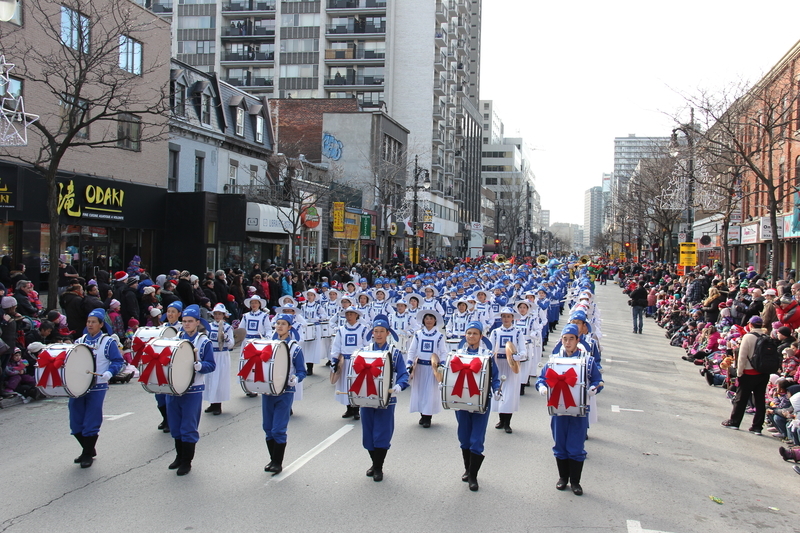 With more than 300,000 spectators, the Montreal Santa Claus parade has become one of the most popular events in Montreal. “We are glad to be here and celebrate with the community,” said Ms. Zhou.